The NCAA Basketball Tournaments are here, and in the spirit of the season, we want to have some fun with the madness. 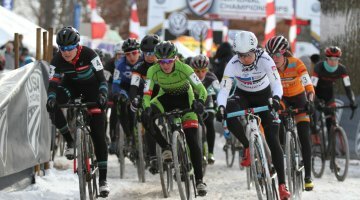 Although cycling is a little different from basketball, our own Nationals and Worlds fantasy contests showed cyclocross can still bring the craziness of March. There were upsets: Wout over Mathieu; exciting finishes: Katie versus Sanne; and dark horses: Amanda Nauman and Elisabeth Brandau. 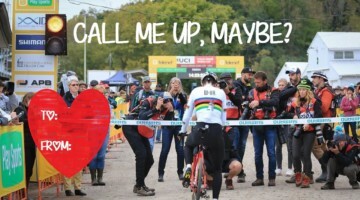 It was, in its own little way, a bit of CX Madness. The idea of using brackets to pick favorites is nothing new. Grantland used a bracket to pick the best character from The Wire (and admittedly had a better graphics department), and the Hallmark Channel used one to pick the best Christmas movie, among others. 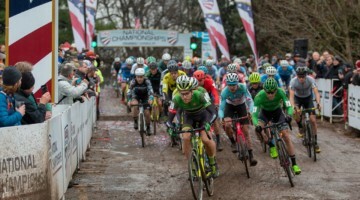 For our 2018 CX Madness contest, we played Selection Committee, gave out seeds and are now letting Cyclocross Magazine readers vote for your favorite cyclocrossers. While your office pool bracket will likely get busted, hopefully your favorite ’crossers will survive and advance. Voting for the first round is below and open through 11:59 p.m. PDT on Sunday, March 18. But first, we want to lay out the ground rules. Playing CXlection Committee was difficult, and like NCAA Selection Sunday and pro sports All-Star games, we probably made some notable snubs. The CX Madness brackets have 32 athletes—16 women and 16 men—that we selected based on the final 2018 UCI rankings. 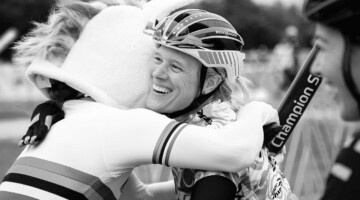 We chose the top eight international and top eight North American women (and added honorary North American Caroline Mani in place of Loes Sels, apologies) and the top six international and top ten North American men. We chose more international women than men in part because Katerina Nash and Mani live in the U.S. and are familiar to fans here. We then seeded riders according to their final 2018 UCI rankings. 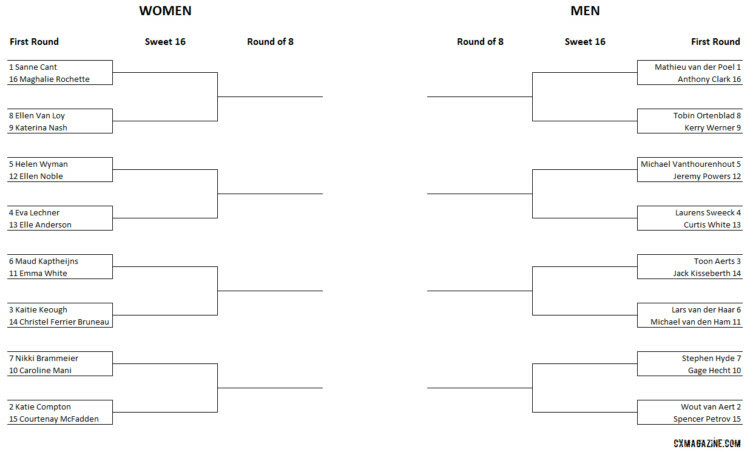 The first two rounds have separate brackets for the women and men. You can enlarge the bracket by clicking on it. Readers can vote for each seed-based match-up. The first two rounds are just like the NCAA Tournament—1 vs. 16, 2 vs. 15, etc.—for the separate Women’s and Men’s brackets. For a little twist, similar to some college hockey league tournaments or Survivor, once down to eight riders—four women, four men—we will re-seed them based on their total votes in the first two rounds. Voting will continue as the NCAA Tournament progresses, and the Championship round will correspond with the Women’s NCAA Championship on Sunday, April 1 and Men’s Championship on Monday, April 2. Vote for your favorites using the polls below. We will release results on Monday and then start voting for the second round.